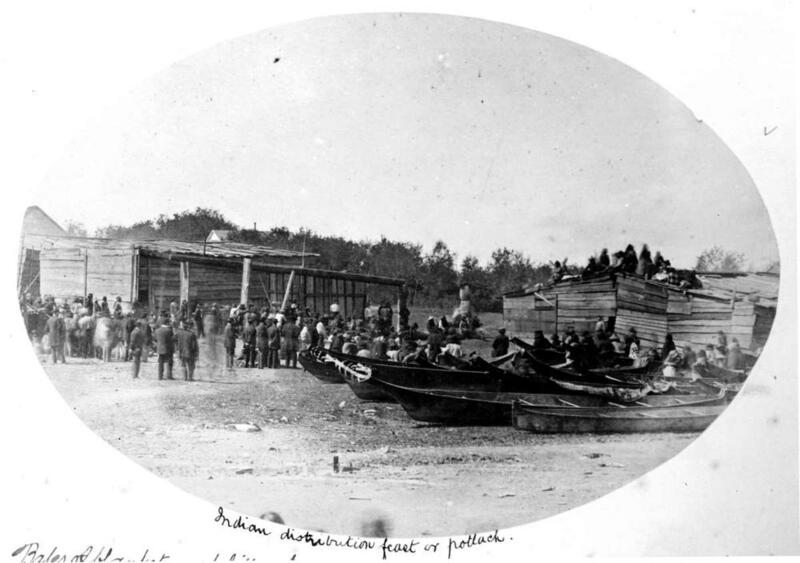 Item C-09284 - Indian distribution feast, or potlach [potlatch]. Bales of blankets, and fifteen hundred dollars were given away by different individuals to my knowledge. MS-3100, Album 5, Page 3.